I do love making dividers and will find any excuse to make new ones, so this week I've been making monthly dividers for my planner. 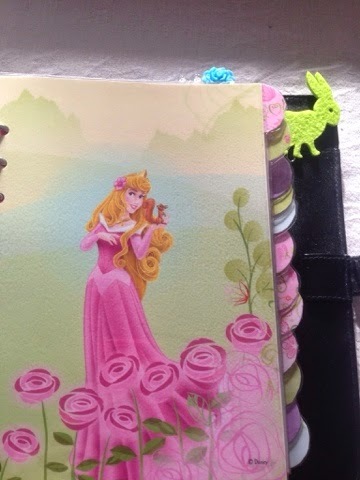 I'm absolutely in love with these as they carry on my princess theme, although you'll notice that some of the tabs are a touch uneven, I need a bit more practice there. On the whole I'm really pleased with the way they turned out though. 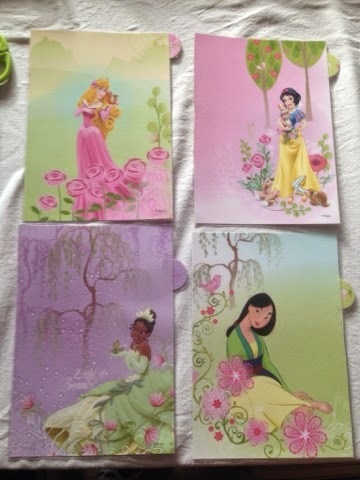 I used a princess paper stack I bought through Amazon, which was just the right size for making A5 dividers without the pictures overpowering the dividers. 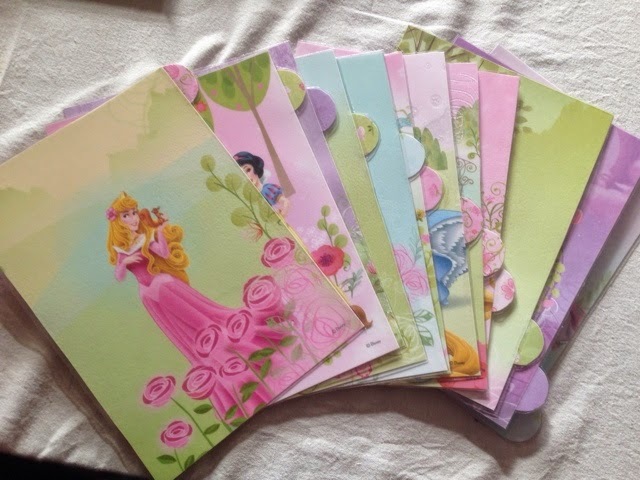 There was a greater variety of princesses than the previous paper stack I used and because the paper was double sided I was able to create contrasting tabs. 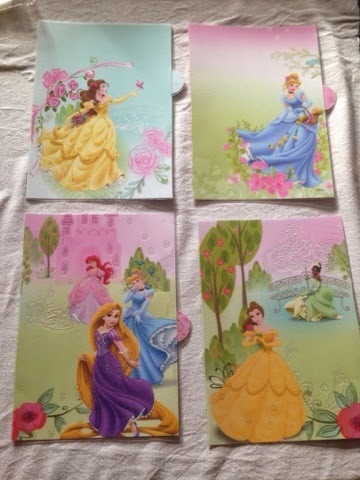 You can't really tell from the pictures but lots of the paper was glittery and it gives a lovely sparkle to the paper. 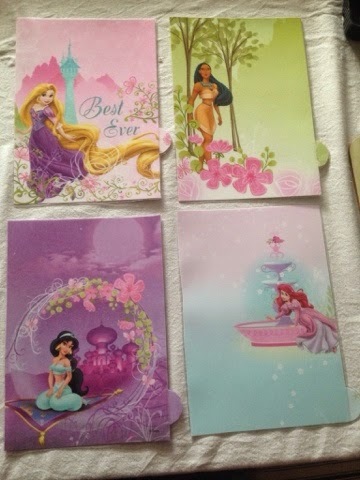 I loved that the paper even included Pocahontas as she (and Belle) was a favourite growing up. One or two of the dividers writing on them too which looks lovely. I keep opening my planner to look at them, though you'll notice in my excitement I forgot to write the months on them before I laminated... Whoops! It hasn't stopped me enjoying them though.